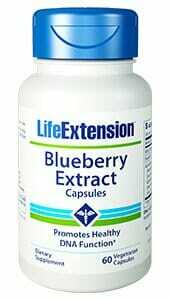 Life Extension Blueberry Extract capsules are designed to provide all the nutritional benefits of blueberries. These benefits include support of blood pressure levels already within a normal range, and healthy hair and skin. Blueberries are renowned for their exceptionally high antioxidant content, yet they can be expensive and difficult to purchase out of season. For this reason, Life Extension Blueberry Extract capsules are designed to provide all the nutritional benefits of blueberries. 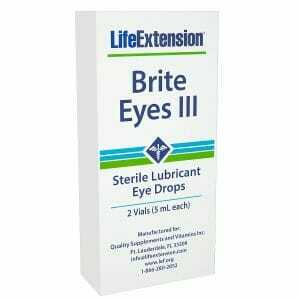 These benefits include support of blood pressure levels already within a normal range, and healthy hair and skin. Two of the most active constituents found in blueberries are the pigments anthocyanin and pterostilbene. Blueberry anthocyanins are thought by many health experts to rank highly among nature’s most effective antioxidants. 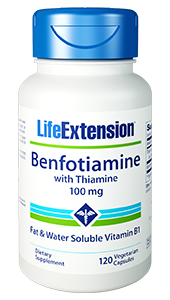 These antioxidant properties may provide significant nutritional support to healthy blood flow and vascular function, as well as well as radiant hair and skin. Pterostilbene, the other primary blueberry pigment, is also a powerful antioxidant that helps maintain healthy lipid and glucose levels already within a standard range. Through its unique biological effects and antioxidative potential, pterostilbene supports healthy DNA structure. This product contains NO: milk, egg, fish, peanuts, crustacean shellfish (lobster, crab, shrimp), soybeans, tree nuts, wheat, yeast, or gluten. Contains NO sugar, and no artificial sweeteners, flavors, colors, or preservatives. AuroraBlue® is a registered trademark of Denali Technologies, LLC. 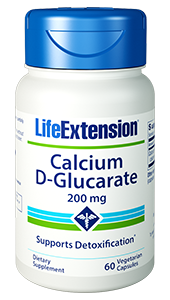 Take one capsule one to four times daily, with or without food, or as recommended by a healthcare practitioner.